Living with a toenail or fingernail fungal infection can be frustrating and embarrassing. Treating the problem often requires a prescription from your doctor and can take months to resolve. 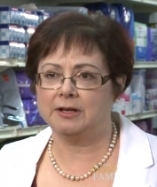 Pharmacist, Susan E. Beresford offers some suggestions for managing the disease and discusses several options, including over the counter topical treatments that are available in pharmacies and don’t require a visit to the doctor.